Shot in Encinitas. A lone paddler races by at twilight before darkness falls. 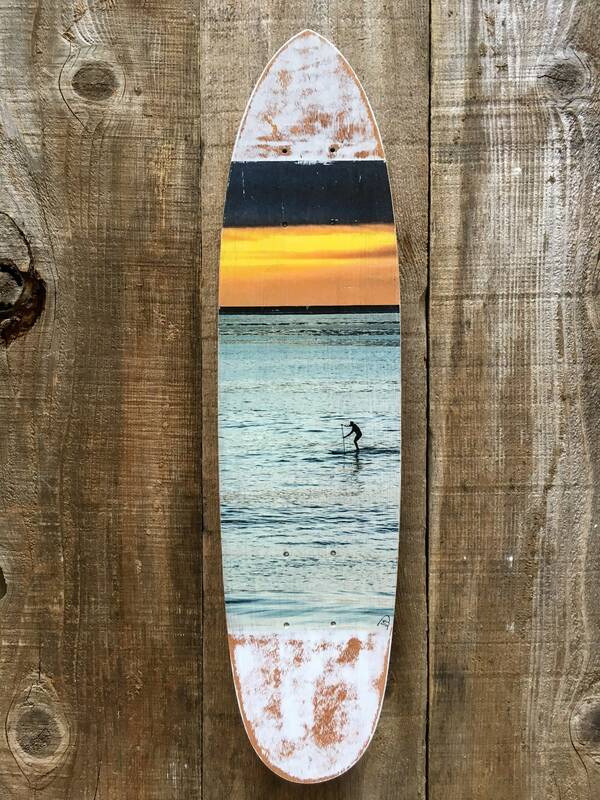 The image was transferred onto a brand new vintage 1970s skateboard deck made by MPI. Its handmade process gives one of a kind result that makes each piece unique. The size is 25" x 6.25". Wall hanger included.